In his book, the Picker’s Pocket Guide to Baseball Memorabilia (Krause Publications), author Jeff Figler offers some great advice for starting a collection, and he knows of what he speaks. Figler started collecting as a kid with the help of his dad, got his son interested in sports memorabilia when he was a boy, and encourages many burgeoning collectors today. He suggests focusing on the area that interests you the most in order to cultivate a truly rewarding collection. That might mean only collecting a specific type of baseball memorabilia, for instance, or focusing on varied items relating to a specific team or favorite player. Figler still sees baseball cards as a great option for starting a collection. They hit their peak of popularity in the late 1990s and early 2000s when values were going sky high. And even though they haven’t bounced back in value to those top levels, they’re still available and they make a great starting point for a baseball memorabilia collection. Complete sets are issued each year as well as individual packs of cards. 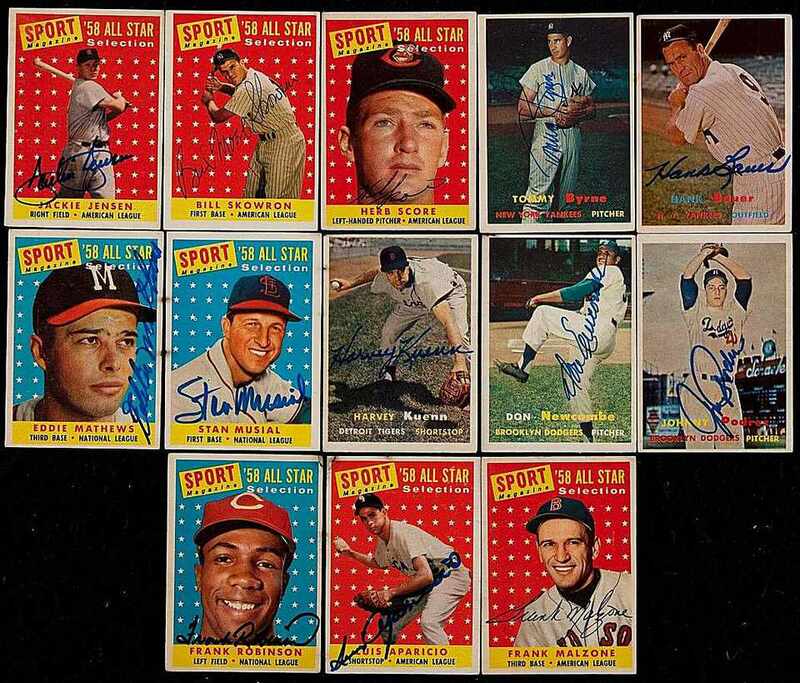 Once those packs are open, the cards are often sold individually, and quite affordably, at sports memorabilia shows along with a plethora of vintage cards. Online forums for trading sports cards can be a fun way to cull out unwanted cards and obtain examples you’re more interested in owning. Figler notes that narrowing your focus can help make collections more manageable, too. “If you don’t focus on teams and players that interest you the most, you end up getting burned out. The sheer volume of memorabilia available today can be overwhelming,” said Figler in a phone interview with Pamela Y. Wiggins. This is true for both current cards and for vintage examples. He also delves into the topic of grading cards in his book, an area any serious collector will want to explore into as they grow their stash. Getting a valuable card professionally graded not only helps to authenticate it, but it assigns a condition rating that can bolster, or maybe even boost, the value. Collecting autographed baseballs can run the gamut in price, but it doesn’t have to be an expensive proposition. “Most players are not superstars, so autographs might be $10-20 each at a sports show,” according to Figler. Attending a spring training game of a favorite team, if that’s feasible, also offers an opportunity to get baseballs signed by your favorite players. If you want to add a vintage ball to your collection, that’s certainly doable. Just be sure to buy from a reputable source willing to guarantee the signature is authentic if you’re going to invest a good sum in a signed ball. Sports shows offer the best selection in one place if you like to examine goods in person before buying, but there are many dealers on the up and up selling online as well. Ask for advice in social media collecting forums if you need some leads on folks who are good to work with and won’t steer you wrong. So what else is available beyond cards and baseballs? In his book, teaching “how to pick like a pro,” Figler includes chapters on many different types of baseball memorabilia that would appeal to collectors of all ages. From “bobbing” head dolls and statues to pennants and posters, he covers all the major categories along with a few fun things baseball enthusiasts might overlook like jewelry and board games. This pocket-sized wish book focuses on everything from dream-find rarities to very reasonably priced lots previously sold through a variety of sources. It’s also interesting that “a tangible connection to one’s childhood” is at the top of Figler’s list for main motivations to collect baseball memorabilia. “I listed the connection to childhood first because after interviewing scores of collectors over the years, that’s the dominant theme that comes up time and again,” he shares in the book. Think about what you loved about baseball as a kid, and that can guide your collecting pursuits today.